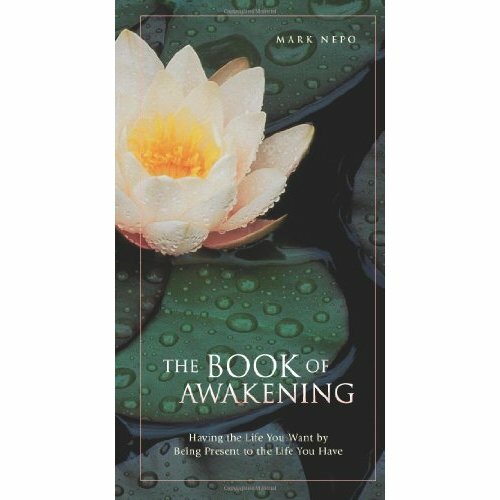 One afternoon I was in my car listening to Oprah Radio and she was interviewing an author by the name of Mark Nepo. He wrote a book called ‘The Book of Awakening’. During the interview she accepted calls from listeners and one listener was a yoga teacher who reads this book to her students during Savasana. She was a little emotional on the call and described how it affected her students and how moving each of the stories were. This intrigued me so I immediately pulled out my i-phone and looked up the book for purchase on Amazon. I was so excited to get this book and read it for myself and hopefully be able to share it with my students. One of the most amazing things about yoga is the urge to want more of it whether that be spirtually or physically through the poses. My goal is for each student to leave class feeling more in touch with themselves spirtually and physicially, ultimately taking those thoughts and feelings outside of yourself. It sounds very deep but its really an experience hard to describe but it helps you create a greater appreciation for life. I’m up to 7 1/2 miles in my training towards the Santa Clarita half marathon in November… I have now officially gone through three (3) pairs of different shoes. I am determined to get the right shoe for my race and finish strong at the finish line. I mentioned before that I was struggling with the vibrams because they were rubbing up against my big toe, even with socks I couldn’t get them to rub correctly on my feet. So I switched to the Nike Free running shoe and I liked this shoe but was concerned about running in a Nike. I guess when you grew up running and were always told Nike was more for fashion than training it kinda sinks in, plus I’ve always been a loyal Asics client. So I purchased the New Balance minimalist shoe (because I know New Balance is a good runners shoe) and I liked the feel of it, but if I’m going to be being completely honest, it rubbed against my heels. UGH!!! Can I not win? This morning I ran my 2 1/2 mile mid-week run in my Nike Free shoe to allow my heels to heal a bit before my 8 1/2 mile training run on Sunday. The other thing that I know hasn’t helped is that I have done my last 3 weeks of long runs with a jogging stroller. This is great that I get to take my baby with me while I enjoy my exercise but its almost impossible to keep good form on a run that long. So I will no longer be doing that as I increase my mileage over the next few weeks. I’m determined to make it a great 8-weeks till the 1/2 marathon by continuing my stretching and yoga practice, running and keeping good form in my minimalist shoes (preferably the New Balance shoe but if not it will be the Nike Free), and incorporating at least 2 times a week of strength training (this is where I will be wearing my Vibrams). 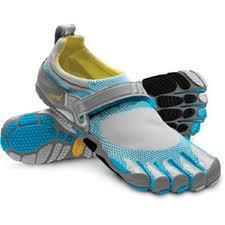 Whats your favorite running shoe? Are you loyal to one brand? Are you willing to try something new? 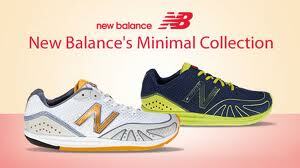 I actually think that the New balance minimalist looks like the basic running shoe that came straight out of the 70s. I’m waiting for the day that Asics makes their minimalist shoe!